ACP fund will ensure Africa’s independence – Osinbajo – Royal Times of Nigeria. 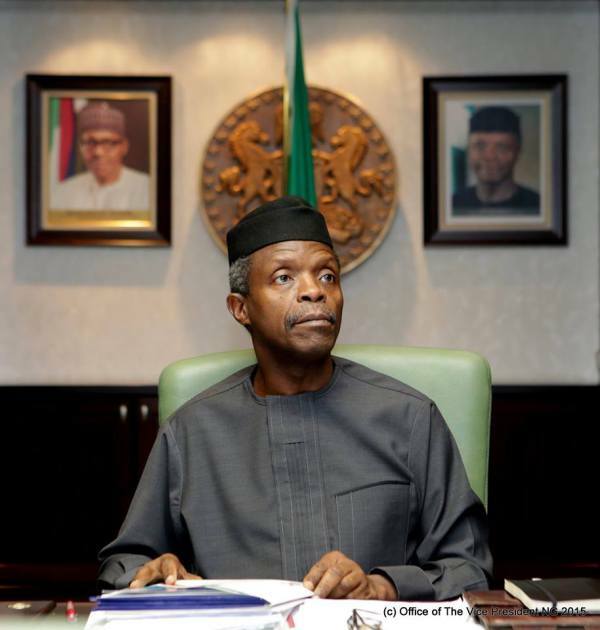 Vice President, Prof. Yemi Osinbajo has described the establishment of an endowment fund for Africa,Caribbean and the Pacific (ACP) as timely. Osinbajo spoke while receiving ACP Chairman, Amb. Amadou Diop, Secretary General, Dr Patrick Gomes and other dignitaries. He said that the endowment fund was a timely initiative that will put members on the path of sustainable growth and development. In a statement issued by Laolu Akande, SSA Media & Publicity, Osinbajo said that the fund would guarantee Africa’s true independence from development partners. He said that with such a fund, development partners would no longer have the power to determine the direction of development they want for Africa. “Setting up of an endowment fund like the one proposed will, in a way, guarantee an independent ACP because if our development partners continue to give us the kind of support that they are giving now, they will definitely want to determine our course of development in the future,” he said. The Vice President, who pledged Nigeria’s unalloyed support for the ACP, especially in its agenda on climate change and others, urged member-nations to remain united in pursuit of the organization’s objectives. Prof. Osinbajo, however, emphasized the need for the group to review existing international regulations as it strives to address challenges of terrorism and armed conflict within ACP member-nations. He commended the leadership of the ACP for the work done so far and promised to convey the group’s message to President Muhammadu Buhari. In his remark, ACP Scribe Dr. Patrick Gomez commended the role played by Nigeria in advancing the cause of ACP both on the African continent and the global stage. He solicited Nigeria’s support in the actualization of ACP objectives, especially in the establishment of the ACP endowment fund. “The key of Africa and the region is Nigeria hence the respect accorded the country by the ACP,’’ Gomes said. Earlier, the Vice President received Mohamed Al Oraby, a special envoy of Egypt’s President Abdel Fattah Al-Sisi, on a courtesy visit to the Presidential Villa. The envoy who delivered a special letter from the Egyptian President, sought Nigeria’s support for Egypt’s candidate, Ms. Moushira Khattab, in the November 2017 election for the Director-General of UNESCO.